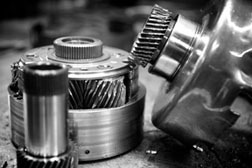 Coastal Transmission Service understands how important it is to find a quality transmission service and repair facility. This is why we value the associations we have with the reputable organizations listed below. These associations help our transmission service & repair facility to give you the confidence in knowing that your automotive repair and service needs will be met by our qualified automotive repair and service expert technicians. Wright Express provides payment processing and information management services to the US commercial and government vehicle fleet industry. Wright Express also provides detailed transaction data services, analizes tools and purchase control capabilities by capturing transaction data at more than 180,000 fuel and vehicle maintenance locations, including over 90% of the nation?s retail fuel locations and 45,000 vehicle maintenance locations.